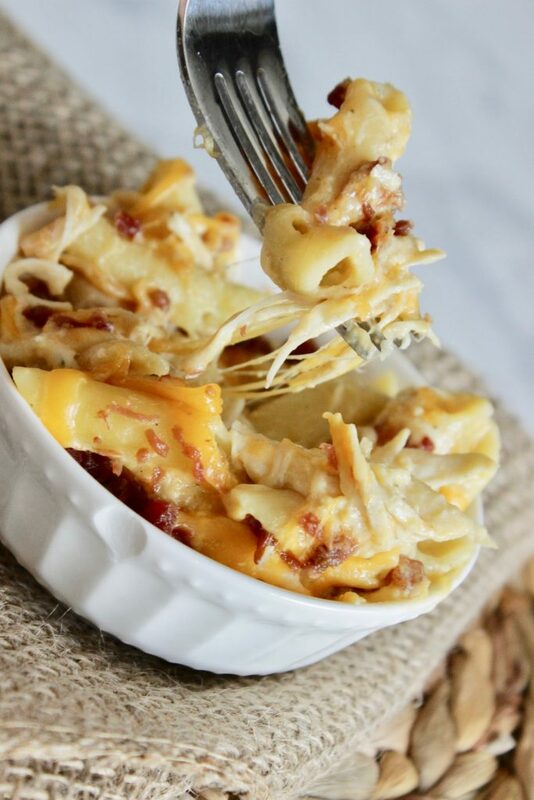 Did you know that you can make slow cooker pasta dishes?! 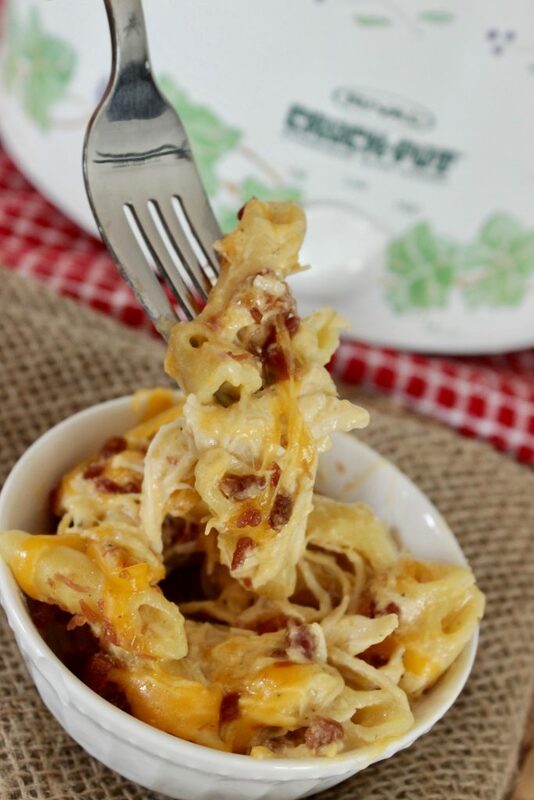 You can, and this Crockpot Crack Chicken Pasta is proof that they’re delicious! If you’re on the hunt for a brand new, easy slow cooker dinner, this is your winner right here! You might have seen my crack chicken sandwiches recipe on my Recipe Cravings Facebook page. It’s gone crazy viral on social media and people just love it. My family included. And, it’s perfect the way it is, but I got to thinking wouldn’t it be awesome to also add it to my list of slow cooker pasta dishes and make what could be called a crack chicken dip into a crockpot spaghetti of sorts? Why, yes, yes it would! 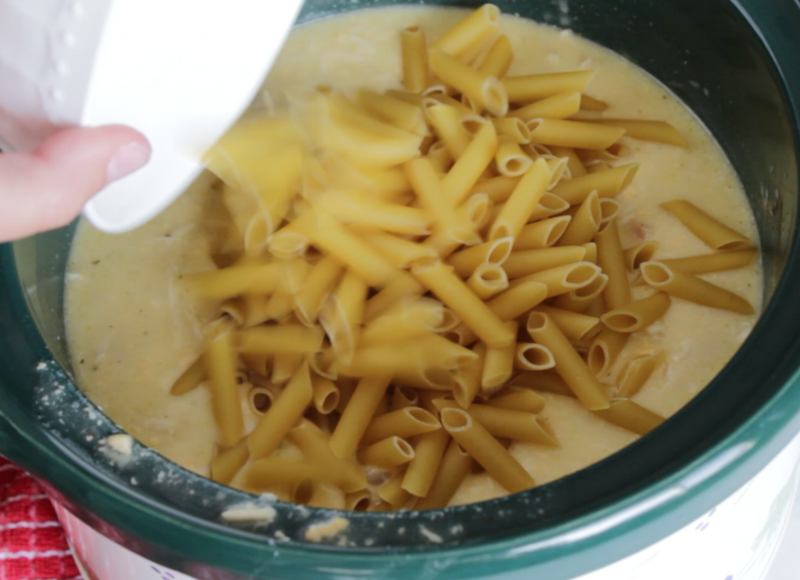 So, here’s how I shipped up this crockpot crack chicken pasta. First off, I did use rotisserie chicken in this recipe. I am a HUGE fan of Rotisserie chicken not only for it’s taste, but also because it’s sinfully easy and perfect for those busy days where you forget that your family requires some sort of a meal every night (hey, we all have those days, right?!). And, the price is comparable. I do think that you could use thawed chicken breasts in this, but I can’t vouch for the taste because I simply haven’t tried it. So, onward assuming that you’re using a Rotisserie chicken. Cut the meat off your chicken and shred. I used about 5 cups of shredded chicken. 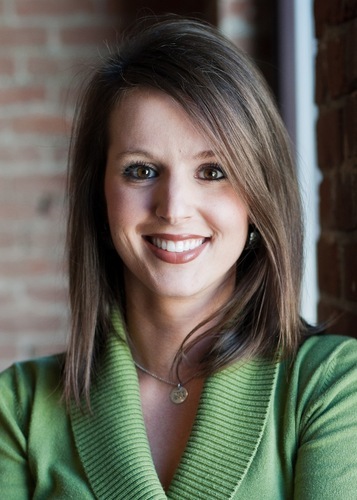 In your four quart crock pot (this is my favorite one and it’s even on sale!) combine your shredded chicken, cream of chicken soup (here’s a recipe to make your own cream of chicken soup, but I am all good with Campbell’s), add your chicken broth, water and Velveeta. You could totally use American cheese from the meat counter if you wanted to avoid the Velveeta. It would create a less creamy, and sharper cheese taste, but it’s totally doable and of course an option. And, lastly add the Hidden Valley ranch seasoning, stir quick, pop the lid on and let those flavors all come together for three hours on high. After three hours, remove the crock pot lid from the chicken mixture and add the noodles. Make sure the noodles are covered all the way and place the lid back on the crockpot. After 20 minutes, give it a good stir and place the lid back on for ten minutes. Give it another good stir and top with the cheese, and lastly the bacon pieces. Replace the lid and let the cheese melt for about 5 minutes and before you know it, you’re scooping out the cheesy hot pot of goodness for a quick and easy dinner. Awesome ‘eh?! Cut the meat off your Rotisserie chicken and shred – you should use about 5 cups of shredded chicken. 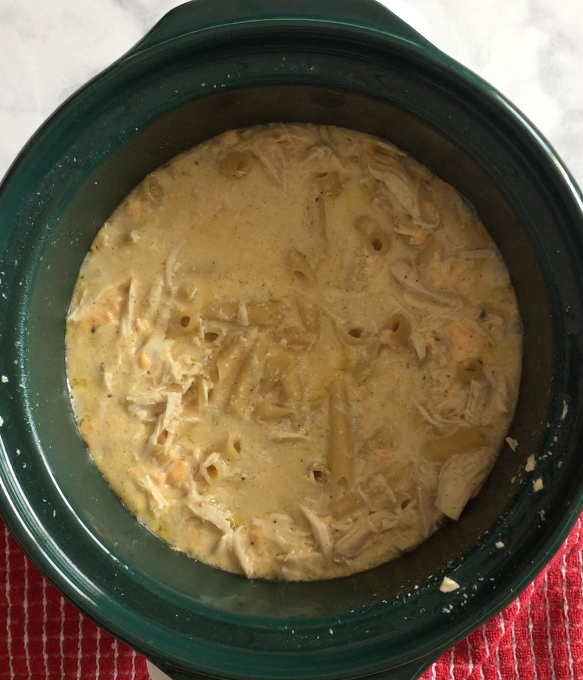 In your four quart crock pot combine your shredded chicken, cream of chicken soup, chicken broth, water and Velveeta. Replace the lid and cook for three hours on high. Remove the crock pot lid from the chicken mixture and add the noodles. Make sure the noodles are covered all the way and place the lid back on the crockpot for 20 more minutes. Give it a good stir and place the lid back on for ten minutes. Give it another good stir and top with the cheese, and lastly the bacon pieces. Replace the lid and let the cheese melt for about 5 minutes. Scoop into bowls and enjoy! Did you know that you can make slow cooker pasta dishes?! 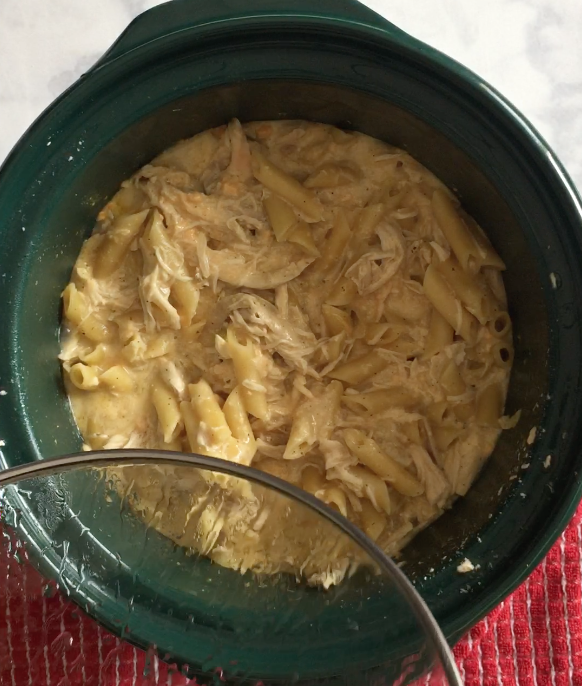 You can, and this Crockpot Crack Chicken Pasta is proof that they’re delicious! If you’re on the hunt for more slow cooker recipes, this is your winner right here! On the hunt for chicken pasta recipes? 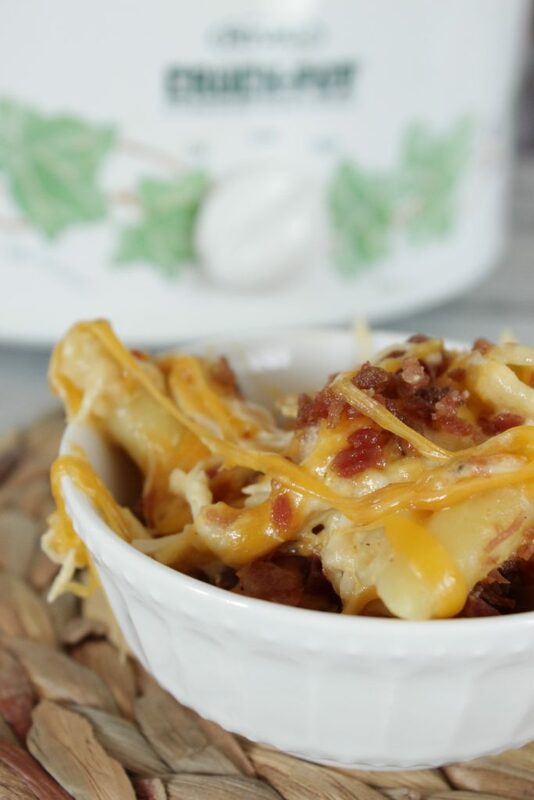 Crockpot is the way to go and my whole family LOVED this!